I always knew that I wanted to be a mom, but I never pictured myself as an actual 'soccer mom'. A baseball mom or a volleyball mom maybe, but neither my husband or I ever played soccer, so it really wasn't on our radar for our kids. In fact, my oldest son never played soccer. 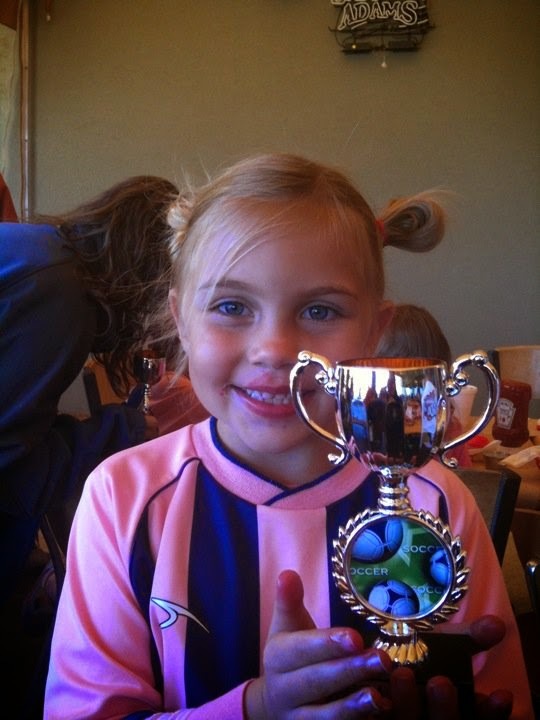 When my oldest daughter was in first grade she was invited to fill a spot on her best friends soccer team. Because I knew she would be more comfortable on a team with people she knew, we accepted. Seven seasons later the team is still playing together. We love the girls, we love the parents, and we have grown to love the game. Originally I just liked the idea of her getting out and playing, but now I love the confidence it is helping her develop. 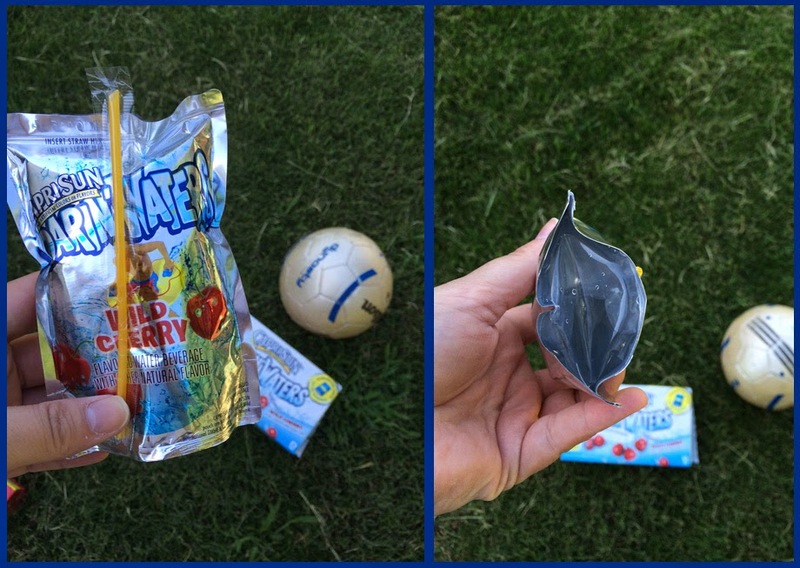 Capri Sun has always been part of our soccer experience. It is our drink of choice when we are in charge of snacks after the game. I have never met a kid that didn't like them and there are no artificial colors, flavors, or preservatives in their juice drink products. But after game snacks isn't the only affiliation Capri Sun has with soccer. 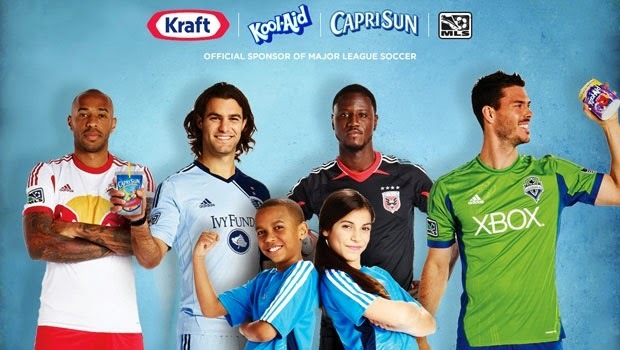 Capri Sun Roarin' Waters is an official sponsor of Major League Soccer and for the second year, Capri Sun is giving kids a chance to take on Pro Soccer Athletes! The Kids vs Pros MLS Soccer Showdown Instant Win Game will send 4 kids, their friends, and families to sunny Orlando, FL, to take on MLS Pros in a live event. At the event, kids will truly stand out by competing in soccer-themed contests where being kid-sized gives them an amusing advantage over the Pros. Plus, there are 1,000s of instant win soccer prizes for daily chances to win. You can find out more details of the Kids vs Pros competition on their website or on specially marked boxes of Capri Sun at your local grocery store. The program started on July 28, 2014 and ends on November 20, 2014, so if you have a soccer fan in your house, check it out! 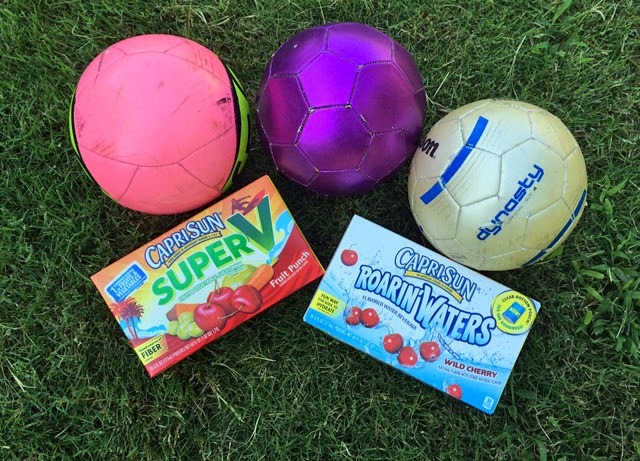 Do your soccer players have a favorite Capri Sun flavor? We are big Wild Cherry Roarin' Water fans in this house. PS - Have you seen the new clear bottoms on the Capri Sun pouches? I love them because it is a quick and easy way for me to know if I want my kids to drink them on the carpet or not! NO PURCHASE NECESSARY. MANY WILL ENTER, ONLY FOUR WILL WIN A GRAND PRIZE. Open to residents of the 50 United States and D.C., 6-17 years of age. Game starts 7/28/14 and ends 11/30/14.